Named "B"; belonged to the first female group, which was not accepted from the NASA. Bernice Steadman was a veteran of many Air Races and began flying at an early age, earning her Private Pilot's License at age 17, and her Commercial Pilot's License in 1946. She founded and operated her own flight school, charter service and Fixed Base Operations at Bishop Airport in Flint, Michigan. She held an Airline Transport Pilot license and taught Reserve Air Force pilots after WWII. 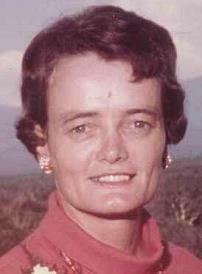 She was inducted into the Michigan Aviation Hall of Fame in October of 2002 and the Michigan Women's Hall of Fame in 2003. In 2007 she was honored by presentation of a Doctor of Science Degree by the University of Wisconsin, Oshkosh. Last update on December 10, 2018.